Liverpool are reportedly eyeing up a move for one of the most exciting young attackers in Europe, the Reds will have to do battle with PSG and Merseyside rivals Everton for the ace’s signing. According to Mirror Football, Jurgen Klopp’s side are interested in making a move for exciting young Ajax winger David Neres, the Brazilian starlet is certainly one of the most exciting players in Europe and not just the Eredivisie. 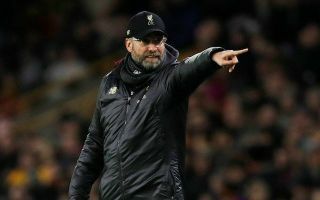 The report also highlights that Liverpool may have to contest Klopp’s former club, Borussia Dortmund for the ace’s signing. It’s understood that the Bundesliga giants see him as a replacement for Jadon Sancho, should he leave this summer. The Reds will also have to battle with French giants PSG, Mercato claim that the Parisians are keeping a very close eye on the £40m-rated starlet. Neres ran Real Madrid ragged in Ajax’s shock 4-1 victory against the Spanish giants last month. Everton believe they can beat Liverpool to the ace’s signature, as they will be able to promise the star with more first-team football. Neres only has to look at his compatriot Richarlison to see that the pathway is very much there at Goodison Park for younger players to become the focal point of the team. At just 22 years old, making a move for Neres would be a sound investment from any of the clubs linked with him. Just last month, the tricky winger made his debut for Brazil’s senior team. Sides should make a play for the star before he notches anymore caps for his country. Liverpool would benefit from bolstering their attacking options, the Reds don’t carry the same threat going forward when the likes of Xherdan Shaqiri or Divock Origi are given the chance to play whenever one of Mohamed Salah, Sadio Mane or Roberto Firmino are rested or injured. Neres’ blistering pace and tricky footwork would give Liverpool some added spark in the final third.